Explore all the features of Elfsight Twitter Feed and how they can help you create the most effective widget. Display your Twitter feed on the website saving its authentic design and functions. 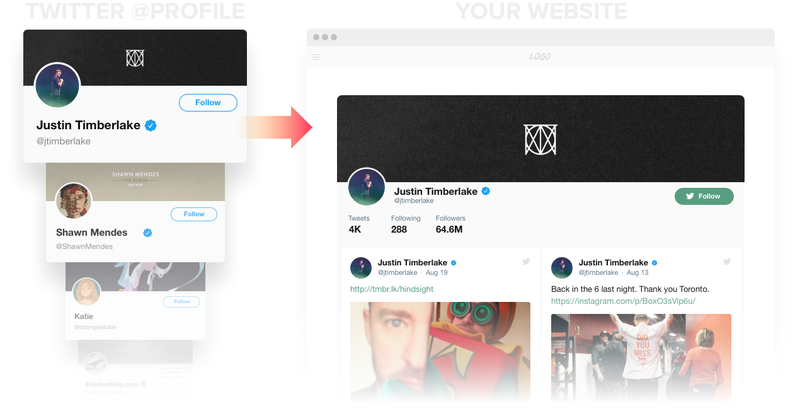 Just set the username and your Elfsight Twitter Feed will display all your posts with real-time functionality and account customization. Widget header will show your cover picture, name and statistics; all Twitter actions will be available right in the feed. Promote your products and services, run campaigns, competitions and other events supported by hashtags and let your website audience know about it. 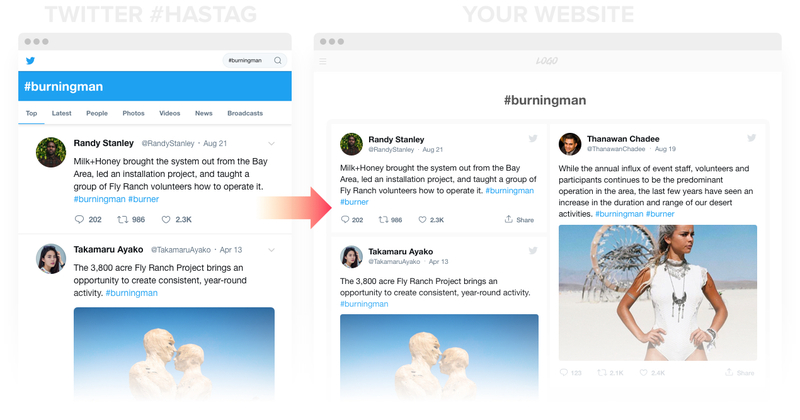 Insert required hashtags into the source field of the widget and your feed will show all Tweets including those hashtags. Involve more people in your initiatives. Tip: If you use Tweets from verified Twitter accounts for displaying, they will be marked with a special symbol in the feed. Thus you can increase the level of trust to your content among readers. Showing all your exciting content would go for nothing if your users couldn’t retweet or reply to the posts. 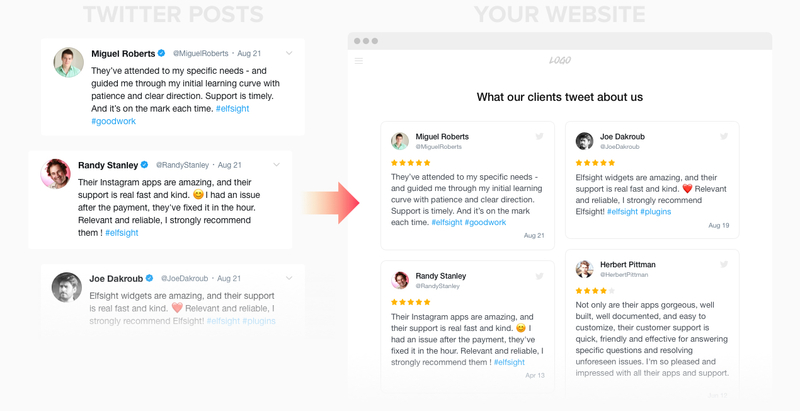 Elfsight Twitter Feed ensures all Twitter functionality for your website users: they can not only view Tweets, but retweet them, reply, and become your followers. All these buttons with counts are available in the feed for on-the-fly actions. You can easily create a selection of best customer testimonials from Twitter using our widget. Choose the Tweets that you want to demonstrate, add their URLs to the source tab, and select Testimonials layout of the feed. 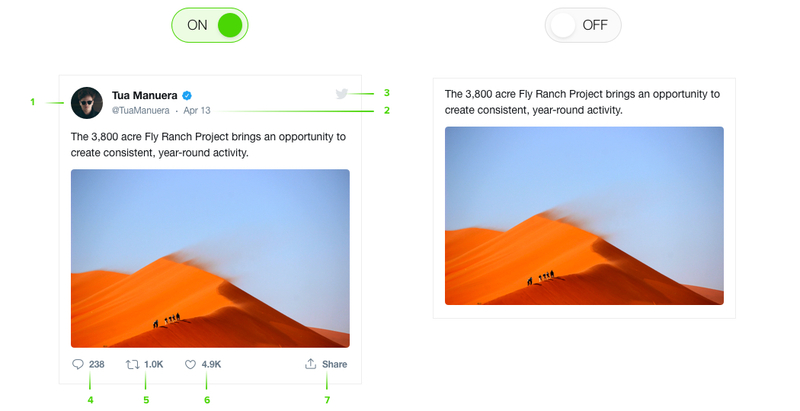 The widget will automatically hide the header and show the selected tweets with star ratings. It will surely look reliable for your audience and increase their trust to your business. Explore how the header can look, choosing from two predefined layouts: Default – rich in elements, and Compact – for a moderate and space-saving appearance. Default header will show all usual attributes of Twitter account: cover picture author name, counts, Follow button, and Twitter icon. While Compact look will leave just the account name and Follow button visible. There’s an option to hide the whole header off, if you need so. 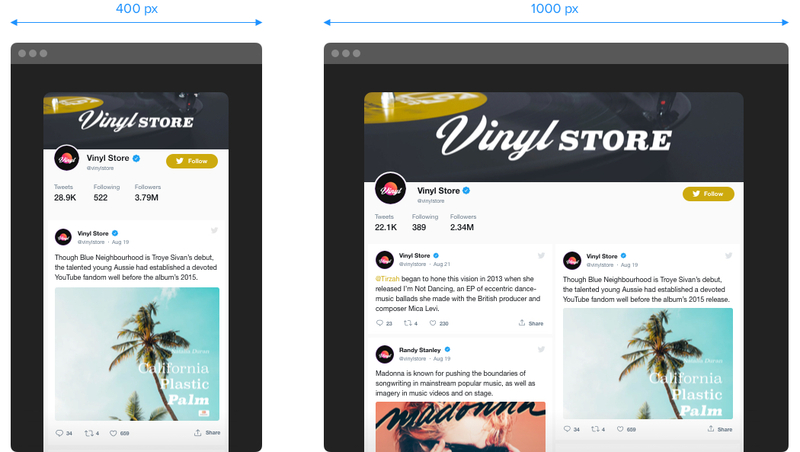 Adjust the Tweet template to show only those elements that you need. Chose to display or hide author, date, and Twitter icon; and pick the action buttons with counts: Like, Share, Retweet or Reply to the Tweet. Using actions, customers will have a chance to interact with the feed and you will increase your website engagement rate. Using the settings of height and width, you can set any parameters by just inserting the number of pixels or percentage. Adjust the proportions to make your widget fit any content zone on a page, independent from the size and shape. And if you leave “auto”, your Twitter feed will become responsive to any screen resolution. Theme color option will help you add a finishing touch to the personalization of your feed. 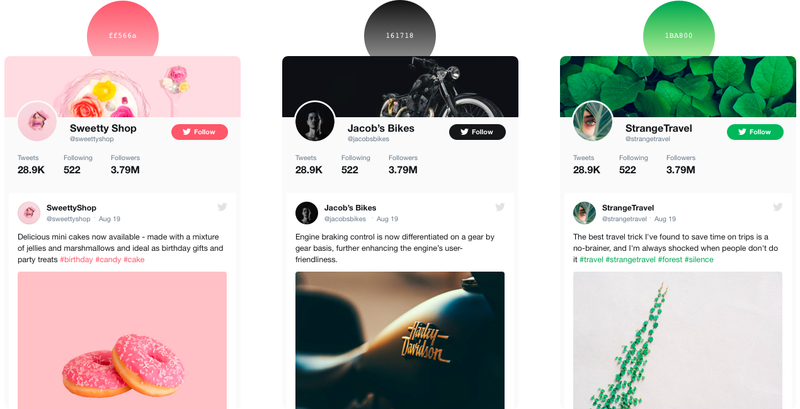 Choose any color and it will paint the active elements of the interface: Follow button, links, hashtags, and Twitter icons. Bring some liveliness to the look, in a flash!